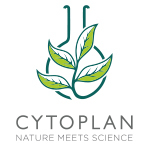 Please click on the link to purchase Cytoplan products. At Horizon, we can offer you a range of therapies to suit your specific needs. Our therapists are all highly skilled, experienced practitioners in their field. They will listen carefully to your needs and tailor their work with you to provide an individual, effective service. We have a well established group of therapists and an exciting new range of services, including group work and general health based one-to-one consultations. To offer first class tuition at reasonable prices. To keep up-todate with legislation, approvals and accredation. To seek further accredation if applicable. To work in an enjoyable but professional manner, allowing the student to have fun while learning. All Zodiac courses have been inspected by and approved / accredited by external bodies. The college tutors all have their own private practices keeping up with high standards and the latest techniques. Spend a day in the company of others who have experienced what you are going through. Swansea & Gower Cancer Self Help Group is open to adults (Male & Female) affected by Cancer. You can also bring a friend or partner along with you. You will start to realise that you can live with Cancer. Twice a month we meet with a team of qualified therapists who volunteer their time to help members cope with the effects of Cancer working alongside orthodox medicine. HOWEVER, WE DO NOT GIVE MEDICAL ADVICE. Norton Lodge, Norton Avenue, Norton, Swansea. Our group is always ready to welcome new members, new therapists who wish to offer their services or anyone who would like to assist on our day at Norton Lodge or by raising funds for the charity. The Swansea and Gower Cancer Self Help Group is supported by the locally well known Dr Salah el-Shakawi who is our patron. Dr Salah el Shakawi is a leading Cancer specialist in Wales and the Rev Eldon Phillips is the charity chaplain. If you are looking for a peaceful place to relax, you do not have to go any further than our grounds. Our 23 acres of land are completely private and include open parkland and wildflower meadows with a meandering river running through 6 acres of ancient oak forest. You can take a walk through our enchanting woodlands or sit on a bench to read, paint and just enjoy being in nature. The house is bright, comfortable and inviting. The bedrooms can provide twin beds or ‘super-king’ doubles. Guests are welcome to relax in the spacious 35 foot living room with panoramic views of the countryside. There is also a patio, formal garden and children’s play area for you to enjoy. We offer a range of residential weekend workshops to stimulate body, mind and spirit. Ask for our schedule of courses in holistic health, yoga, nature studies, crafts and creativity. Your visit may be enhanced by a range of holistic bodywork therapies by fully qualified practitioners. A session after a day’s activity will be sure to undo any tensions you may have, and renew your energy ready for your next adventure. The Bristol Cancer Help Centre is a leading U.K charity which has pioneered and specialises in the Bristol Approach to cancer care. The Bristol Approach is an holistic approach to cancer care that uses a range of complementary therapies and self-help techniques designed to help people deal with the emotional, physical and spiritual impact of a cancer diagnosis. The Bristol Approach works hand-in-hand with any medical treatment and is underpinned by the science of psycho-neuro-immunology, which is supported by leading oncologists. Courses are led by an experienced multi-disciplinary team of doctors, nurses and therapists for those who require help with their condition and training is available for those working in complementary therapies. There is a Hospital in Bristol that has had success in fighting certain Cancers with Homeopathic skills. A referral can be requested through your G.P and treatment can progress along side your N.H.S conventional treatment, as it is complementary to your cancer medication. This well known cancer charity now has the ability to assist people financially while they or their loved one is suffering with cancer. For more details of benefits, help with housing costs, health costs, children’s needs, transport expenses, loans and grants or any relative financial questions, please ring 0808 808 0121. For general enquiries ring 0800 500 800, lines are open 8am-8pm mon-fri and 9am-12pm sat morning. for more in-depth information about the group. Depression Busting, a new weapon in the fight against depression. Courses and products to help fight depression, supplied by professional health people who have personal experience of depression. Mind, 1st Floor, 66 St Helens Road, Swansea. Every Wed 7-9pm. The Cross Community Centre, High Street, Pontardawe. Bridgend, Carmarthen, Ystradgynlais and Cardiff. Please contact DACymru head office below for more details. 11 Plas Melin, Westbourne Road, Whitchurch, Cardiff, CF14 2BT. This is an organisation to help relatives and close friends of people who have died suddenly. SDSA is an organisation run by people who have experienced a sudden and tragic loss and would like to help you in your time of need. Telephone: 01189 889797 or write to SDSA, Dolphin House, Part Lane, Swallowfield, Reading, Berkshire, RG7 1TB. The Alzheimer’s Society runs a helpline, offering information and support for anyone who has concerns about Alzheimer’s disease. The number to ring is 08453 000336, the helpline is open from 08.30am to 6.30pm Monday to Friday. Telephone: 020 8939 0530 for details of your local branch. ADT Healthcare offers a free helpline dedicated to assisting women suffering from drug, alcohol and mental health problems. ADT Healthcare was established in 2011 by people who overcame addiction themselves. Phillip Davies, 936 Carmarthen Road, Fforestfach, Swansea, SA5 4AB. God / Source is beyond words, pure, conscious, all encompassing Love. God / Source is beyond gender and yet it includes the divine masculine and the divine feminine. Thus do we invite you to use whatever word is comfortable to you, as you read or listen to these messages. Know that we honour all words for God / Source. We also embrace all who have embodied God’s Love perfectly on Earth. At Cygnus Books we publish a free monthly magazine, Cygnus Review, which is written with love to guide, uplift and inspire you. We select the best mind body and spirit books and make them available to you at reduced prices, so you can feed your soul…. without burning a hole in your pocket!